These are pictures of the famous tourist attraction in Beijing in China - The Forbidden City, so-called because "no-one could enter or leave the palace without the emperor's permission". 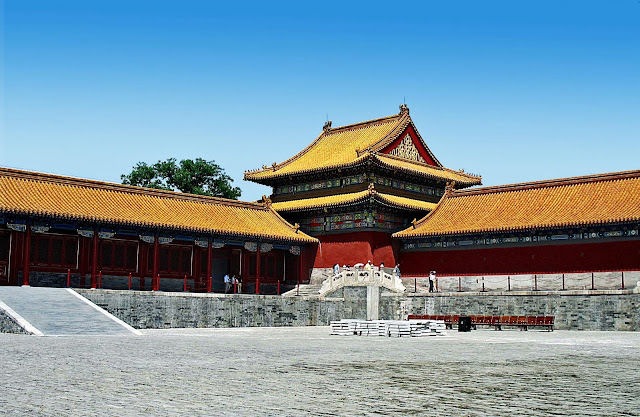 It was Chinese Imperial Palace for 500 years, from the Ming Dynasty to the end of the Qing Dynasty and also the ceremonial and political center of Chinese government.Today it contains the Palace Museum. It is a World Heritage Site. 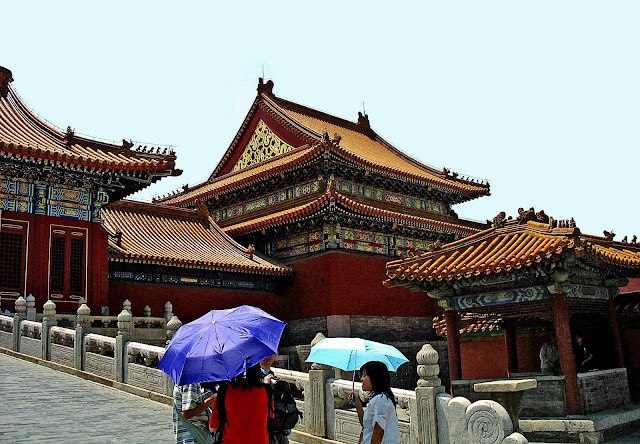 The style of Architecture is typically Chinese, which is unique to the country and the places it influenced. It is centuries old, as old as the Chinese civilization. This photograph is the main entrance of this large museum. Walking through takes hours, minimum half a day. 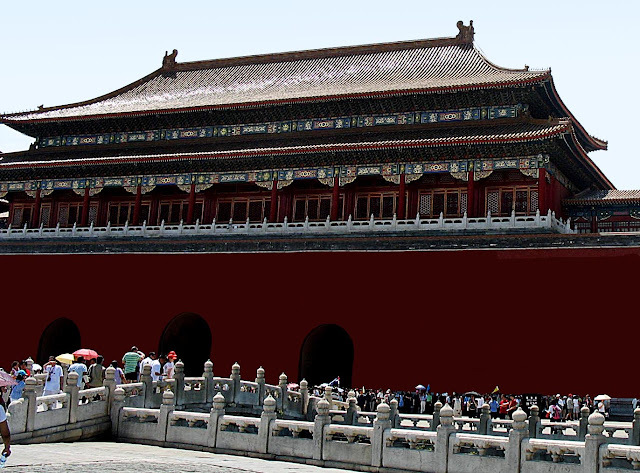 The architectural style at the Forbidden City is distinctive. Yellow roof tiles were used as yellow was the Imperial color. 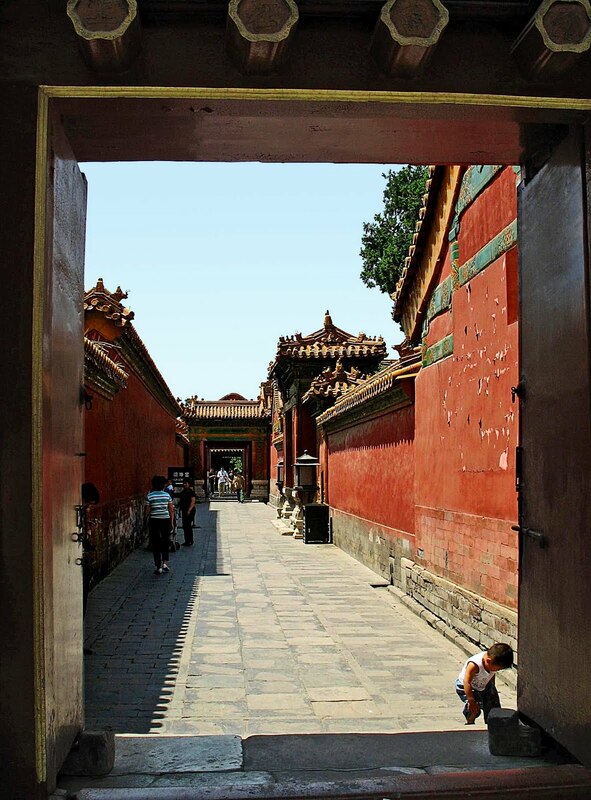 Red was used extensively for wooden columns of the buildings, as well as the walls. Throngs of tourists inside the Forbidden City. An unique aspect of the structures inside the Forbidden City is how well they are maintained. All are freshly painted and preserved very well. They looked brand new! This takes away from the feeling that these buildings are hundreds of years old. What is admirable is that the place is spotlessly clean and very well organised. 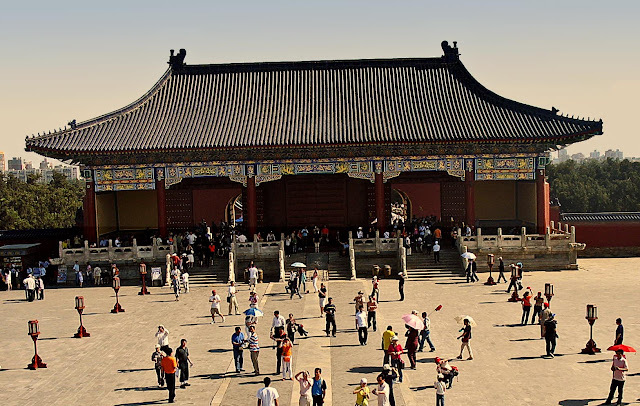 The rooms lining this courtyard are filled with precious artefacts from ancient China. This is a long outdoor corridor connecting two buildings. Doors within doors. 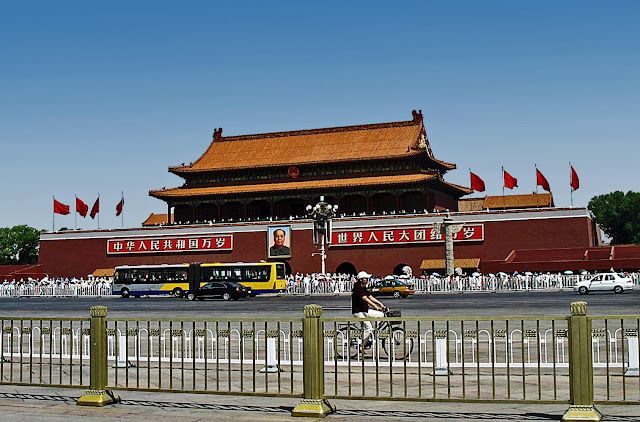 Or see all photographs of China, including its cities, roads, traffic and people.